Create an enviable style for your mini fashionista by suggesting that she wear a green coat and pink tulle dress. 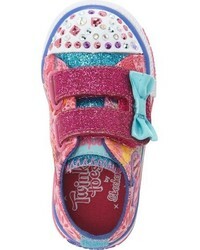 Skechers toddler girls twinkle toes shuffles light up sneaker are a savvy choice to round off this look. Suggest that your little one reach for a white t-shirt and grey print leggings for a fun day out at the playground. 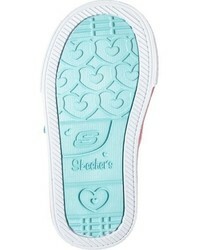 Skechers toddler girls twinkle toes shuffles light up sneaker are a smart choice to complement this getup. Dressing in a red cardigan and yellow jeans is a smart fashion choice for your child. A pair of pink sneakers will seamlessly integrate within a variety of outfits. Suggest that your little angel team a grey sweater with navy jeans for an easy to wear, everyday look. A pair of pink sneakers will seamlessly integrate within a variety of outfits. 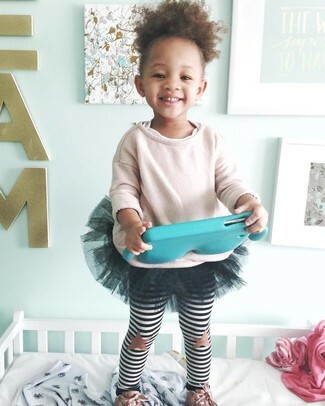 Suggest that your little angel wear a pink sweater with a black tulle skirt for a cool, fashionable look. 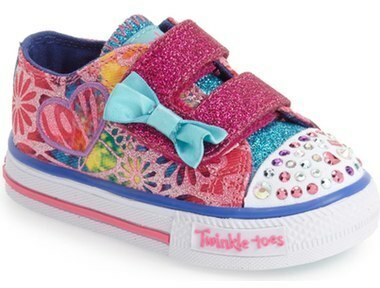 Skechers toddler girls twinkle toes shuffles light up sneaker are a wonderful choice to finish off this ensemble. Suggest that your darling team a white and black print t-shirt with pink leggings for a comfy outfit. Skechers toddler girls twinkle toes shuffles light up sneaker from Nordstrom are a great choice to finish off this ensemble. Suggest that your child reach for a pink jacket and light blue jeans for a beautiful casual get-up. This getup is complemented perfectly with pink sneakers. Suggest that your kid team a beige sweater with navy jeans to create a cool, stylish look. Skechers toddler girls twinkle toes shuffles light up sneaker are a smart choice to finish off this style.